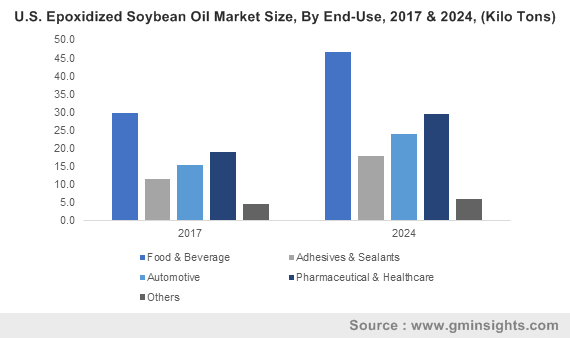 Adhesives & Sealants « Global Market Insights, Inc. The robustly increasing demand for automobiles across the globe has been favorably influencing automotive collision repair market, owing to the surging need to repair vehicles after accidents and other mishaps, that lead to severe damage on the vehicle body. Taking into account the escalating requirement of vehicle repair and maintenance, most of the OEM’s have been making investments in paint shops and vehicle body centers, not to mention, even standard collision certification programs for local body shops. For instance, the Germany based automotive behemoth Mercedes Benz has recently opened a vehicle body and paint center in India in order to improve its after-sales outreach. Facilities such as the aforementioned are technically specialized for maintenance and accidental repairs, which further help retain consumer faith in brands. The unprecedented involvement of automotive giants in the development of service offerings to expand their consumer pool is thus likely to augment automotive collision repair industry share. In order to provide efficient repairing services to customers, automakers have implemented standardized certification programs for independent repair shops and dealerships. For instance, General Motors, one of the most prominent automotive behemoths, has recently announced that it intends to introduce a collision certification program for its dealerships and independent repair shops by 2018. This move was brought about by a plethora of factors, one of them being the surging use of lightweight materials for vehicles incorporated with electronic safety equipment leading to an increasing need to calibrate the vehicle body after accidents. Thus, in order to provide effective repair, GM has introduced a scanning tool to identify the defects in the vehicle’s safety systems and powertrain. Eventually, initiatives similar to those of GM are expected to increase automotive collision repair market share from the aftermarket. According to estimates in fact, automotive collision repair industry size from aftermarket is predicted to register the a commendable CAGR among any of the end-users of the market. Considering the increasing number of independent repair shops, automotive collision repair market behemoths are focusing on manufacturing innovative products to generate more revenue. Recently, in the 2017 SEMA show, the automotive aftermarket division of 3M launched a rather unique vehicle painting process – a spray cup system that provides improved efficiency, advanced performance, and cleanliness while reworking. With this product, 3M further validates the fact that the rising innovation in paints and coatings technology is likely to boost automotive collision repair industry trends in the years ahead. For the record, automotive collision repair industry size from paints and coatings registered a CAGR of 2.5% over 2018-2024. Speaking along similar lines, other companies partaking in automotive collision repair industry share such as Honeywell International Inc., Faurecia, Bosch, Continental Corporation, ZF Friedrichshafen AG, Denso Corporation, and Federal-Mogul Holdings Corporation have also been bringing about appreciative changes in their product range. In the long run, the combined efforts of these giants is likely to bring about a major change in the dynamics of automotive collision repair industry. 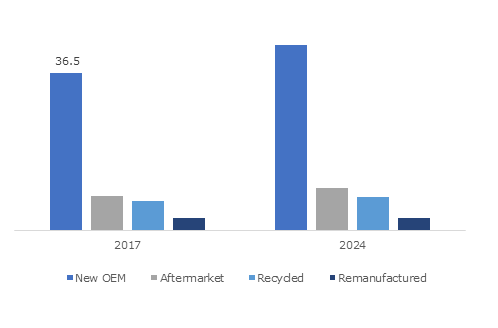 It is prudent to note than the growing trends of digitization and automation have also brought about a transformation in automotive collision repair market outlook. In order to sustain their presence across this business sphere, independent vehicle reworks have been inking partnerships with digital marketing services. For instance, a collision repair and auto body paint provider, City Auto Body has recently declared a partnership with a small business marketing and search engine optimization firm, BizIQ to strengthen its reputation across real-time and digital channels. In order to adhere to the demands of customization and simplicity required in vehicle refurbishment, automotive collision repair market giants have been increasingly adopting high-end technological advancements. Recently, one of the leading giants in paints and coatings industry, AkzoNobel, has developed a real-time digital tool for repairing automotive bodies, which can save considerable time and money. 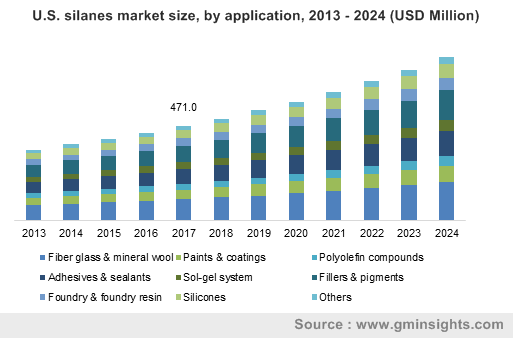 The increasing number of innovations in repairing facilities is thus likely to stimulate automotive collision repair industry size, which will generate a revenue of more than USD 275 billion by the end of 2024. This entry was posted in Automotive & Transportation and tagged Abrasives, Adhesives & Sealants, Aftermarket, Auto Body Shops, automotive collision repair market, Automotive Collision Repair Market Size, Collision Repair Industry, Dealer Owned Shops, Finishing Compounds, HCV, Independent Repair Shops, LCV, New OEM, Paints & Coatings, PCV, Recycled, Remanufactured, Two-Wheelers.